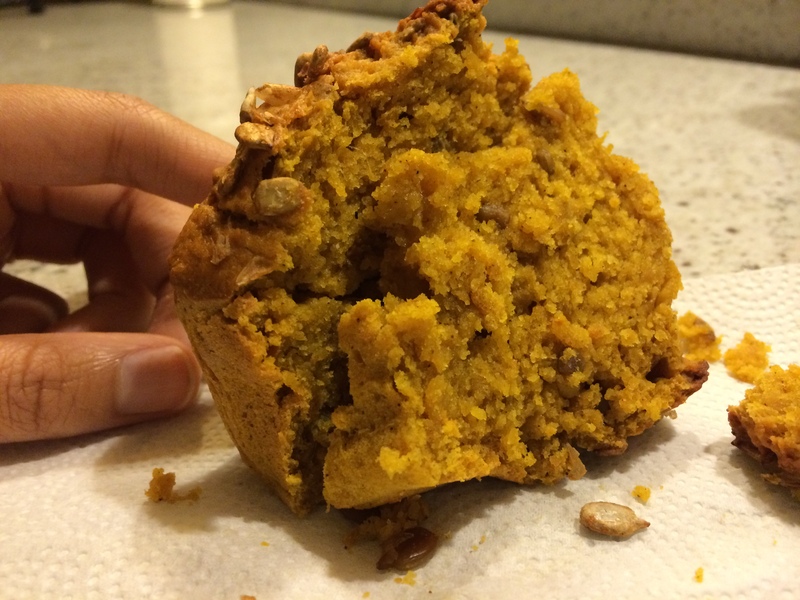 The holidays always put me in a baking mood so I’ve decided to attempt the classic fall dish that involves pumpkin of course! 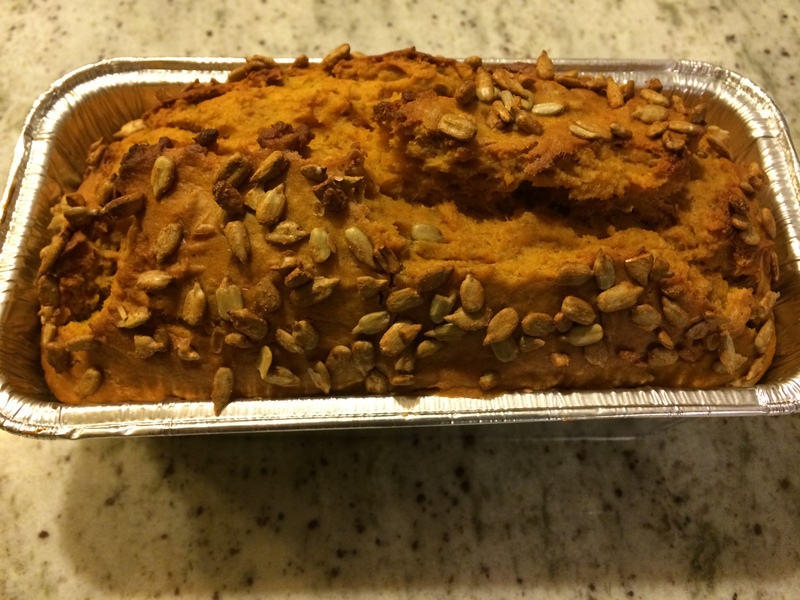 I’ve seen plenty of pumpkin breads with walnuts but I wanted sunflower seeds because I just love the added flavor. 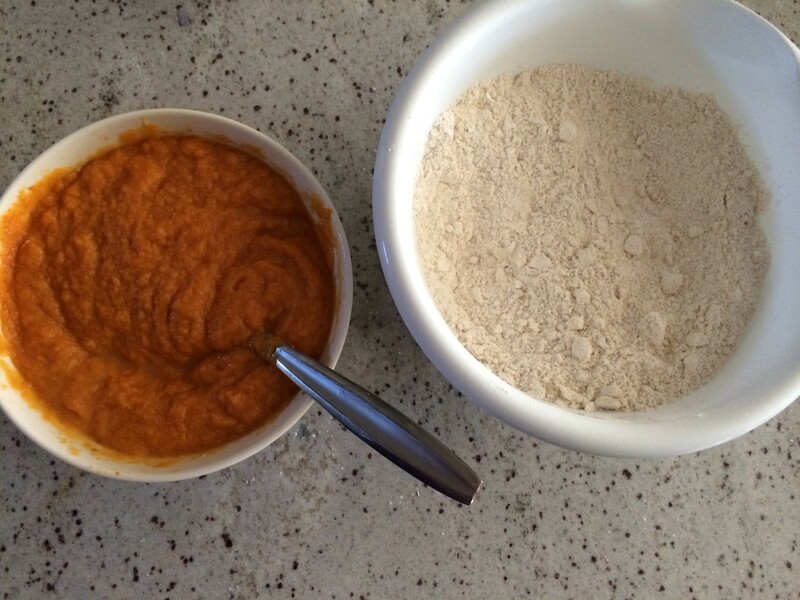 Preheat oven 350 and mix all dry ingredients together (flour, sugar, baking powder, spices/seasonings). In a separate bowl, melt the better and wait for it to cool before adding the eggs. 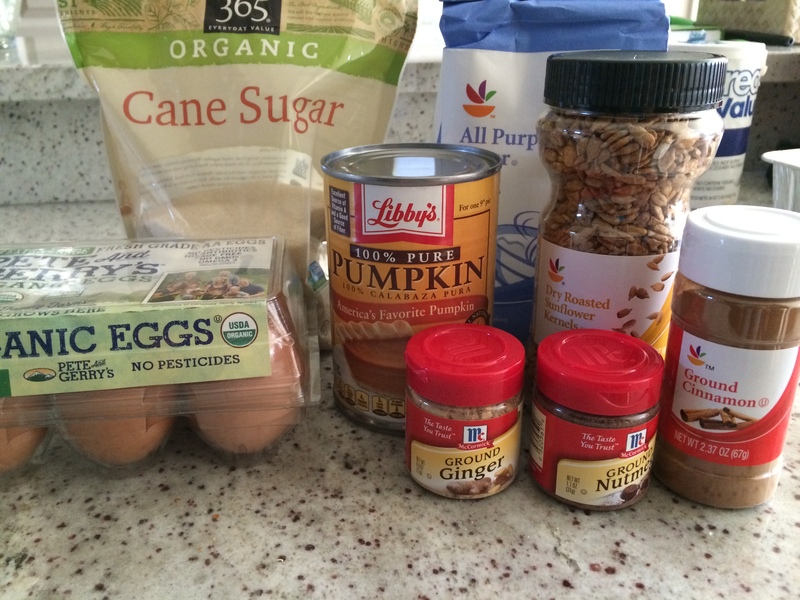 Mix all of the wet ingredients together in that second bowl (pumpkin, butter, eggs). 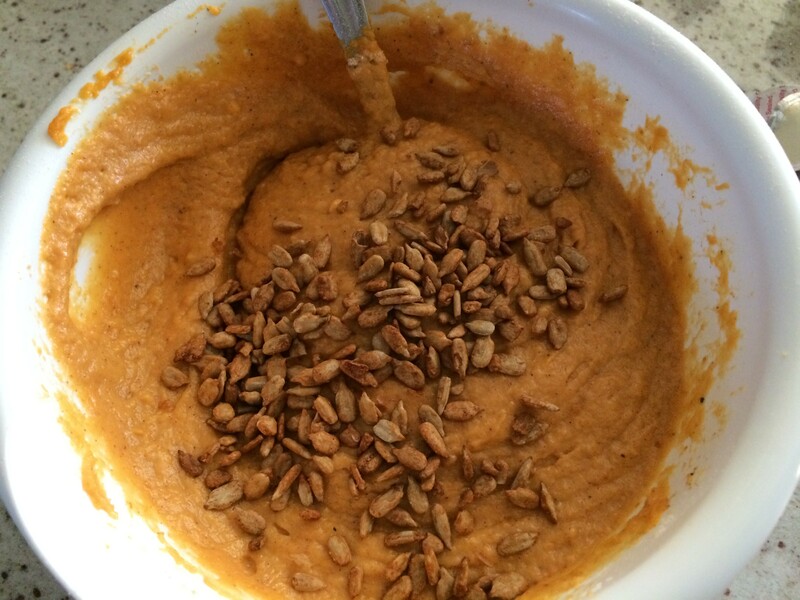 Combine the pumpkin mix with the dry ingredients and make sure it’s all blended well together. After that, mix in the sunflower seeds. 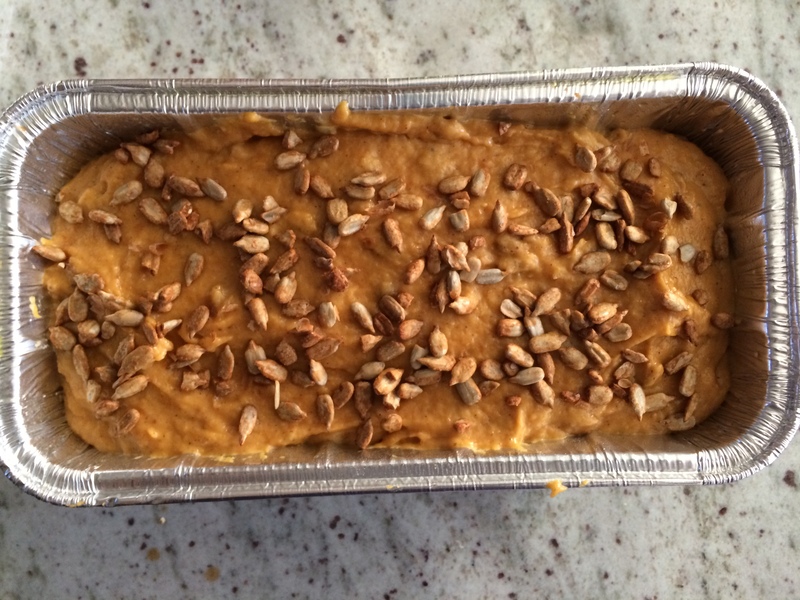 Pour the mixture into a greased bread pan and sprinkle some sunflower seeds on top. 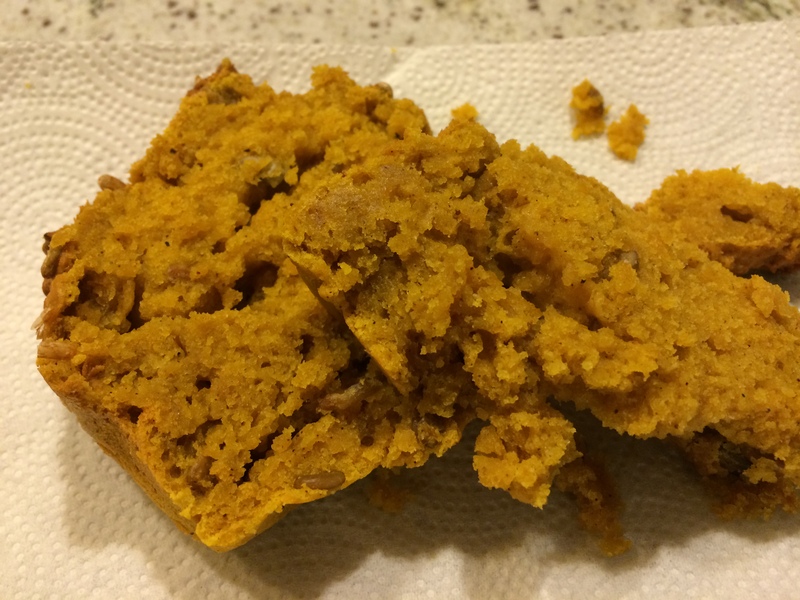 Bake for about 45-55 min. Sorry for the poor lighting and bad cutting of the bread but it turned out amazing! I’m so glad I went with the sunflower seeds, it was perfect. All of the spices just made it so delicious. Last year my holiday song for 2013 was Underneath the Tree by Kelly Clarkson and I still rock out to that one but now my favorite holiday song of 2014 is…..Santa Tell Me by Ariana Grande! I love her voice and this song is the perfect “I don’t want to be alone on Christmas” song lol. And as a bonus, my favorite CLASSIC holiday song of 2014 is Baby its Cold Outside with Michael Buble and Idina Menzel..Two of my favorite voices on one song and the most adorable video! How cute are those kids?! Happy Holidays everyone! Enjoy the family, friends, and the food!